Christine is a playwright, actor, and co-Artistic Producer of Delinquent Theatre. In these various capacities, she has worked with the Arts Club Theatre Company, Bard on the Beach, The Cultch, Neworld Theatre, Electric Company Theatre, Rumble Theatre, Boca Del Lupo, Zee Zee Theatre, Carousel Theatre for Young People, Caravan Farm Theatre, Ruby Slippers Theatre, Playwrights Theatre Centre, Pi Theatre, Nightswimming Theatre, and Young People’s Theatre. 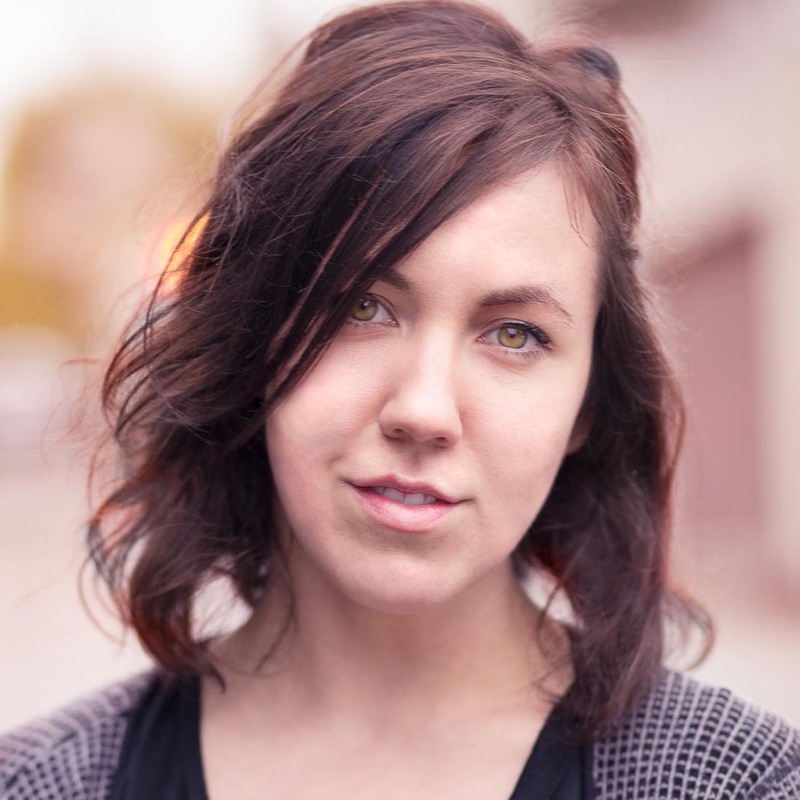 This season, Christine is the Urjo Kareda Emerging Artist Resident at Tarragon Theatre. Her play Selfie will have its English language premiere at YPT in April of 2018. Playwriting highlights include Selfie (commissioned by Théâtre la Seizième with additional commissioning from YPT, winner of the Sydney Risk Prize for Outstanding Script by an Emerging Playwright); Stationary: A Recession-Era Musical (winner of the Jessie Richardson Theatre Award for Outstanding Musical, Small Theatre) for which she also served as producer and performer; and Never The Last (co-created with Molly MacKinnon) at the rEvolver Theatre Festival, produced by Delinquent Theatre in association with Electric Company Theatre, developed at the 2016 Banff Playwrights Colony. Christine is a graduate of the University of British Columbia’s BFA Acting Program. First off, to my family and in particular my mom, who has made this life possible for me. To Jiv, the best person I’ve ever met at a theatre conference. To my theatre family – my dear friends and collaborators – The Delinquents, the Matriarchy, and the incredible community in Vancouver who fuel me with their generosity and inspiration. To Shawn MacDonald, who first named me as a playwright; Craig Holzchuh, who as Artistic Director of Theatre la Seizieme gave me my first commission as a playwright and opened many doors for me; Jessie van Rijn, whose relentless support has sparked many adventures. And, of course, Marcus Youssef, who I will speak about shortly. I grew up on unceded Coast Salish territory, specifically the area that many call Vancouver. As I travel more of this complicated country, I start to understand more and more how much the mountains and sea and sky have given to me. From my heart, I thank the keepers of that land, the Musqueam, Squamish, and Tsleil-Waututh nations and the many nations of the Pacific Northwest for their long-time stewardship. I am grateful. This honour comes to me at a moment of precipice. In the last few months, I’ve been haunted by one question every time I’ve sat down to write. What could possibly be important enough? Sometimes I feel overwhelmed. I feel like a radio receiver that’s too sensitive to hear just one thing. And these are noisy times. Every time I sit down to write, I hear amongst the radio static, a million SOS calls. The sounds of justice denied. Of plastic in oceans. Of gunshots and lies. And although I feel like my work is my life, it also sometimes feels impossibly small. My mind, my heart, feel impossibly tiny. These days, it seems like nothing between the pads of my fingertips and a keyboard could create something louder than a whisper. And then I come back to this word, that I heard Marcus say once about theatre. Let’s be clear for a second – I’m a millennial and cynicism is basically a bodily function for us. So the first time I heard Marcus say that word, I kind of gave a teen girl cringe because it was ohmygodsooooo hyperbolic and like so earnest, jeeeez. Earnest. I’ve been described as earnest – mostly in a pejorative sense – for my entire life. People seem to love to tell me that I’ll change, that I’ll give up, that I’ll start to see things the way they really are. And so, much of my early writing had a protective layer of bleakness and cynicism. Because to understand theatre – what we do – as an act of communion; an act that can restore and transform, and connect – is almost too beautiful to bear. Working alongside Marcus – in addition to fueling neverending and (at least I think) hilarious millennial vs. Gen Xer jokes – has asked me to rise to a challenge. To create the work like he has – his funny, surprising, poignant, messy, revelatory work – asks a lot of an artist. To approach this work with an open, heavy, naked heart. To see not simply the best or the worst of the world, but the complicated whole. To believe that we can transform and restore ourselves through acts of communion requires more courage than cynicism. It takes courage to believe that what is happening, right here, together, is important enough. I feel now, growing in me, a sort of radical earnestness – I’m working on a manifesto but I’m too shy to share it. So, I guess I’m not that radical yet. But here’s what I know so far. Earnestness can be hard won, and hard to protect. Could I be so earnest to believe that we can write into existence worlds that are populated by all the kinds of people we know and love in our communities; that we can subvert power systems that silence and oppress; that we can listen through the radio static for sounds of humanity and hope? Ohmigod, that’s like, almost enough to make me cringe. Thank you, Marcus. Thank you to the Siminovitch family, for reminding me how important this work can be.